Are There Any Men In Our World? Question: If we say that Eve is the created being and Adam is the attitude of the created being, how can it be that the created being (Eve) was created after Adam? Answer: The fact is that the Creator first conceived to create creation, and the plan, the male part, is in order to do so. Then, through the plan—which is what the Creator wants to do with the created being, what form to shape it in and how much Light to allocate for it—He created the desire to receive, which is basically female. Adam is the idea, the plan, or the intention, while the embodiment of the idea and the plan is the created being, Eve. Therefore, the whole of creation is made of two parts: the female part, the desire to receive, and the male part, the intention to bestow. In fact, there are no men in our world, but only women. Everyone has only female desires to receive, enjoy, and be filled. Thus, according to the Kabbalistic definition, they are all women. Question: Does that mean that there is one man, which is the Creator, and all of the others are women? Answer: If there are Kabbalists in our world, they are men. There are no other men. 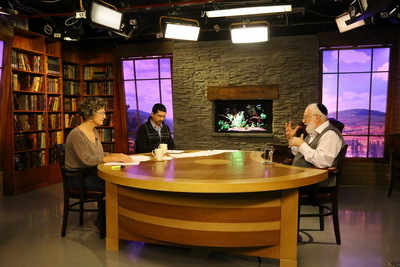 Question: Don’t Kabbalists receive from the Creator? Answer: Although a Kabbalist receives from the Creator, thus presenting the female desire in his relationship to the Creator, it isn’t female at all because the corrected state operates in him, to receive in order to bestow. A Woman, Satan’s Tool Or The Crown Of Creation? Question: How should one deal with financial losses correctly? Answer: If the loss is noted, it is necessary to agree with it and go on with life, and try to make sure it will not happen again. Question: Does studying the wisdom of Kabbalah change a person? Let’s suppose that he is stingy by inclination. How does spiritual development influence his attitude toward money? Answer: A Kabbalist is found in many different situations, especially someone who has not yet passed through the Machsom (Barrier). So, sometimes he behaves absolutely precisely as one should. He doesn’t dismiss worldliness, but considers everything correctly. Sometimes, he suddenly falls and then begins to run to do something to make money to provide himself not only with what he needs for the present, but also for the future. Interferences not typical of state one is in come, but they are sent specifically so that he would understand that “Do not believe in yourself until the day you die” (Pirkei Avot 2:4), that is, as long as his ego has not died. Man is not immune from anything. On the contrary, a person must go through these situations. How Does One Break Away From Monetary Problems? During its evolution, humanity has gone through many preliminary stages of development. It is trying to connect in order to become one man, Adam, like the upper force. The first time such an attempt was made was in ancient Babylon. Rambam writes the patriarch Abraham gathered many Babylonians around him and organized them into a big group that he later led to the land of Canaan. Under Jacob’s leadership, they moved to Egypt from the land of Canaan, went through Egyptian slavery, and exited from it under the leadership of Moses. But since they exited ancient Babylon, this group had one constant motto: unity and love your neighbor as yourself. These weren’t just movements from one country to another. These were stages of development. Their egoism grew and developed, demanding a new method of connection. Abraham’s method wasn’t working anymore because it was suitable only for the period of the forefathers. This period was over, and a new time had come. Pharaoh symbolized the huge egoism that the group of Abraham had accumulated, and therefore a more effective method of connection was required that was stronger and deeper than the old one. And then they received the Light that Reforms. In other words, they began to work with the upper force, attracting it through practical attempts to unite. The condition for receiving this force is mutual guarantee. If we are ready to become guarantors for each other, meaning to connect, then we create the quality of unity and love between us, similar to the upper force of nature. And then on the basis of the principle of similarity and equivalence of qualities, they could attract the positive force of unity, hidden in nature, called the Creator. Although all of nature of this world is based on a negative force, we can attract the positive force and include both of them within ourselves. Symbols of the negative force that are revealed between them are the golden calf and the numerous other problems and troubles that the Torah tells us about that are haunting them constantly during their wandering in the desert. Despite this, they attract the positive force more and more, until they compensate the entire negative force that is revealed between them with it. It means that they have prepared themselves for the next stage. This whole process is called forty years of wandering in the desert; it is the acquisition of the positive force that will cover the negative force. In all the egoism that was revealed in them in Egypt, they were given an additional force to enable them to treat each other with compassion. This is called the preparation for entering the land of Israel. Obviously, we are talking about a new internal state, not about geography nor history. Entering the land of Israel means that much stronger desires are revealed in them that were not revealed during the previous stage, called the desert. Much stronger egoism is revealed that is called the seven nations inhabiting the land of Israel, which must be destroyed or banished. Of course, we are not talking about the people, but about the destruction of the egoistic desires inside a person and inside this entire group that is entering a new state, a new level of development. In general everyone loves the sources that fill his needs and his desires.The desire to be loved is imprinted in us and is meant to eventually bring us to a loving connection with everyone. The love between parents and children is also natural. When a child grows he begins to love different things. When we connect with someone we acquire his desires and his thoughts; we acquire a new life and expand. We begin to feel the world through others. When someone loves me I feel that I belong equally and am special. When someone stops loving me I am furious. A good attitude toward my self is perceived as “I am loved!” If nobody loves me, I need a substitute. When I feel that someone cares about me my life lightens up and I feel vital. When a person receives no attention he dies.